Per Word or Per Hour — Which Earns Writers the Most? There’s a lot of discussion online about writers’ rates. What’s the best way to bid a project — by the word? By the hour? By the project? They all have their uses, especially since some publications and businesses are kind of in the habit of using one or the other of these methods for deciding what they’ll pay. But which is the best way to price jobs? To my mind, it’s by the hour. No matter how you price the job, track your hours and figure out your hourly rate. Because if you don’t know your hourly rate, how can you work on raising it? How can you compare clients and know which to keep and which to drop? Now, if you’re working for an ongoing copywriting client, I personally believe bidding by the project is best. Your client is happy because they know exactly what they’re going to pay, and you can budget for the amount you will earn. The trick is creating a flat fee for that project that will give you the hourly rate you want. You can only do that by getting some experience with how long it takes you to do things. Obviously, this setup rewards efficiency. If you’re unusually fast, you can bid on a par with other writers, but end up with a better hourly rate, and earn more over the course of the year. At first I was appalled. Prior to this time period, about the very lowest article rate I took was $300. Then I thought what the heck, and gave them a try. I found I could write them in an hour to 90 minutes. A little quick math and hmmm…that’s $70-$100 an hour. Not too shabby. I’ve kept this work as good occasional filler projects — a quick scan of my bills for this year shows I picked up $1,700 this way so far in ’10, in maybe 20-22 hours. So the lesson is: Any work that earns a high hourly rate is good writing work. Of course, getting a client where they’ll let you simply bill for however many hours you’re spending on their projects each month is the ideal. Then you know you’re getting paid for every hour you work. I had a client like that at $95 an hour for more than a year, sending me work every month. I think right now, those gigs are harder to come by. But billing hourly protects you against the evil that is scope creep — the situation where you bid a flat project fee, but then the parameters of the project keep growing, as does your time spent. Been lots of discussion of how to handle this sticky problem on LinkedIn recently. Most publications tend to assign a price per word or give a flat article price. In which case, you may need to work on your efficiency to make sure your rate stays as good as possible. But you can always ask for more money — I’ve gotten companies to add $50-$200 to an article assignment or more if they ended up wanting sidebars, or a longer length, or I knew they were a slow payer. More about screwing up your courage to ask for more pay over at my latest post on WM Freelance Writers Community. 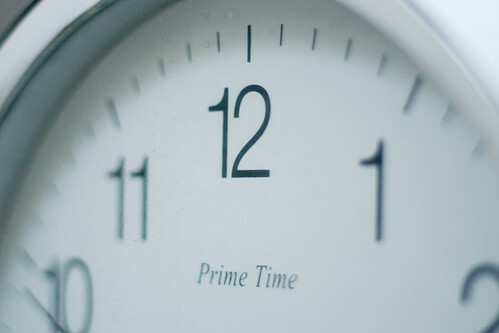 What do you prefer — billing by the project, the hour or the word? Leave a comment and let me know. Also, have you asked for more pay lately? If so share your strategy! Payment by hour often may mislead as the labor is not always same and it goes by how critical the topic is. Taking up assignments on the basis of word count (articles and prepositions included) should be okay. Rate per word is based on the rigor of the topic. Best method is to bid per project — then, as you acquire more knowledge of that client’s projects, your hourly rate keeps rising because it takes you less time, and the client is never the wiser. I think this is a HUGE trap and not a reward at all. I am one of those unusually fast writers. Positioning myself as such led to getting a lot of disorganized clients, and to a lot of all-nighters on jobs that slower writers could not have done overnight. I’ve learned my lesson: I never compete on price. Rather, I position rush as a premium. Maybe Writer X can do it for you in a week for $1,000; if you need it in 2 days, and I can do it 2 days, then perhaps it’s worth $1250 to you. I try to charge 50-100% more for rush work, Barbara. I literally used to have a rate double my usual for people who wanted something done in a day. I earned very well from it. I can type super-fast, and learned about how the math works early on. You need to price yourself so that burnout doesn’t result from being faster. The main point I was trying to make is if you bid by the job with a client, locking in those job rates makes your hourly rate rise over time, as you learn their business and get more efficient at delivering their work. I have a client that has asked if my per-word payment includes often-used words, grammatical articles such as ‘the’, ‘an’ and ‘a’. I have never been asked a question like this, nor do I think this is typical and I am not comfortable excluding these words from my fee. Can anyone shed some light on this subject? I appreciate the input. Sounds like a scam to me, Robin. Per word fees include ALL the words. I’ve found that I need to think by the day, week, and month – not the hour. Sure, I can churn out a blog post in forty-five minutes. But I cannot churn out three of them at that speed in a half day. The $100 per hour becomes useless. I’m better off with a four-hour project that pays $250. That’s why you want to give them your project quote, not an hourly rate. They don’t need to know you’re fast and make $175 an hour. That’s your business. That post has several links within it that will lead you to additional posts on how to find good-paying markets. Best of luck with it! Hey Carol…can u suggest me places that offer at least $20 an hour for writing assignments?? Carol, I always bid by the project. I’m very fast and efficient at what I do in my writing specialty. I think if my editors knew how much I’m actually making per hour they’d be a bit cranky. Thanks, Carol, for the important points. I started my business in April and am thankful for any work that comes my way. Yet I can’t stop wondering whether being paid by word, hour, or project is the way to go. You’re post helped. Of course, you are absolutely right. Bidding a project can open the door to an hourly rate no client would ever approve on an hourly bill — $200 or more! I usually find as I work accounts, I get more efficient and though project rates stay the same, my hourly rate rises over time. Personally, I usually bid press releases by the word or flat fee, not hourly. I think many writers on hourly contracts pad their hours to earn more, a strategy I've really resisted. It's such a widespread practice, I've had clients about have heart attacks when they got my first bill, because it was 30-50% less than they were used to paying! I personally prefer project bids because tracking hours precisely is annoying, and I think the clients always wonder how many hours you're REALLY spending. Where with a project rate, they know what they're paying, period, the end…and you know how many hours you should get the job done in to earn your desired rate. First off, Carol, I totally respect your business savvy, since you've been freelancing for longer than I have. However, my issue with hourly rates is that it penalizes efficiency. I'm very efficient at writing press releases, so if I set an hourly rate, I'd only be able to bill for, say, two hours when I could have made a lot more from a flat rate. Sure, when I accept a flat rate for an article, I'll factor in how long I think it will take (so, a $100 article that takes two hours is better than a $300 article that takes 10 hours). But when you're smart about setting flat rates you can sometimes make well over $100 an hour with clients who would balk at paying more than $50 or $60 an hour. They're none the wiser that you've only spend a few hours on the project, and everyone is happy. Here's a blog post I wrote last year on this very blog: The Great Debate: Flat Rates vs. Hourly Rates. 4 Pings/Trackbacks for "Per Word or Per Hour — Which Earns Writers the Most?"